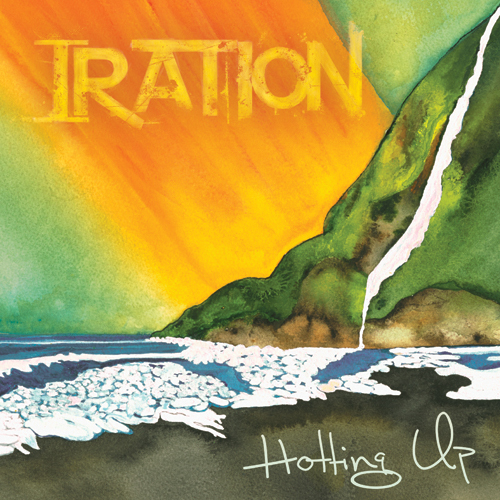 Iration is an alternative/reggae group out of Santa Barbara, CA. Their latest album, Hotting Up, recently debuted #1 on Billboard Reggae. To coincide with the release of the new album, they wanted to build a fan promo while sourcing album feedback. Using Burner’s Soundcloud Connection, Iration were able to set up a phone number that fans could call to leave messages sharing their favorite songs from the new album. The messages would be automatically uploaded to Soundcloud, where the band could review, make a playlist of interesting content, and picks 3 winners of pairs of tickets to an upcoming show. The band received 100 quality fan voicemails about the new album. In the process they were also able to get a better understanding of the fan favorites (“Lost and Found,” “867,” and “Reelin”), which they were also able to combine with other data to build their case for radio play. The band narrowed down their top 10 fan voicemails to make a Soundcloud playlist, which they of course shared to their fans there as well as through other social media channels. They also selected three fans to win pairs of tickets to the upcoming shows of their choice. Collectively, the promotion generated a significant amount of fan content, user insights, audience engagement, and social media reach for a relatively trivial investment of effort and a with a very simple setup. Burner Connections for Soundcloud and Dropbox was SEAMLESS and beyond easy to set up and manage. The band set the Burner’s ringer to OFF and just watched the notifications come through indicating voicemails and messages uploaded to Soundcloud. In addition to the Soundcloud Connection, Iration also implemented the Burner Dropbox Connection. The band has all the voicemails saved for archival purposes and also created a folder for the best messages. They will text all the fans back who actually called and left messages (since they have a record them and phone numbers). Iration are working on the next Burner Soundcloud promos around their upcoming nationwide tour dates. Burner is now available in Australia! G'day G'day how ya goin' Burner! Today we have some big news for you! We know the world revolves around communicating via SMS, and it’s hard when you’re living or traveling outside the US to stay in touch without incurring crazy long-distance charges. To help with this problem we’ve made Burner available, for the first time, outside the US and Canada. You can now download Burner in Australia and buy a US and Canadian number for texts and voicemail to text anyone in the US and Canada, long distance charge free! Once you create your number you’ll have access to tons of great Burner features like reminders to stay organized and of course you can create as many numbers as you would like and burn your number any time to take it out service. There’s tons of other messaging apps out there that you can use to message with friends or family in the US, but they’re a hassle. Once you decide what service you want to use and create an account, you then have to get everyone you want to talk to to create an account as well. And then you have to find and connect with everyone -- search your address book, connect Facebook, sign in with Twitter -- just to send a simple message. Burner makes messaging dead simple, with the one thing everyone has -- a phone number. These are text-only numbers, so you won’t be able to make or receive calls, but if someone does call you they’ll be able to leave you a message that you can listen to in the app! This is only the beginning and we know we have tons of Burner fans that want the app available in their country. Please feel free to reach out to us on Facebook, Twitter or through support and let us know where you are and where we should expand to next. You can also stay up-to-date with all of our news by signing up for the newsletter. We have all been there. Maybe you are filling out an online form requesting price quotes from multiple car dealers. Perhaps you are selling your departed granny’s treasures on Craigslist. Or maybe you are signing up for a dating site and who knows about the people who may respond. All such moments involve a request for your phone number. What do you do? Burner featured in Fast Company's Free App Friday! We've been included in Fast Company's list of free tools to find the job you really want! Use Burner (Android, iOS) to set up temporary phone numbers while you're sending out résumés—especially those posted on publicly accessible sites. You get a free number to start with, which forwards to your main number but can have its own separate voicemail greeting. You can return calls using your virtual number so you don't reveal your personal one, and once your job search has wrapped up, you can torch your burner number to avoid being inundated with phone calls from high-profile recruiters passing along seven-figure job offers. That's right: you're that good. According to Maxim , we're one of the 13 smartphone apps you need right now. It’s not smart if you don’t pay for its education and your smartphone is only as good as the apps on it.